I’ve always been a t-shirt and jeans kind of girl. Even more so now that I have young children. T-shirts just seem more logical and comfortable when messes abound. I’d love to come up with a more put-together lounge look, but until then, t-shirt and jeans it is. 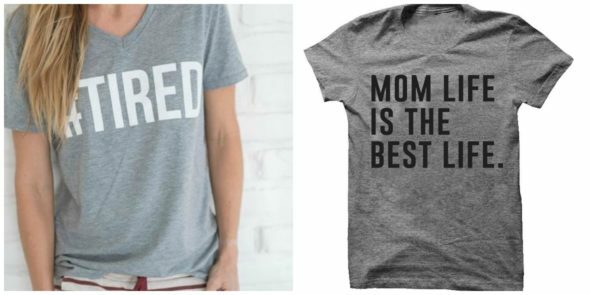 Here are five fun t-shirts I’m sure every mom of littles can relate to.